Beautifully renovated in November 2016 and conveniently located in Stuart, Florida, home to sparkling beaches, historical landmarks and a thriving arts and entertainment community. Stay in a modern guest room at this hotel in Stuart, FL, or upgrade to a suite for more space and freedom. 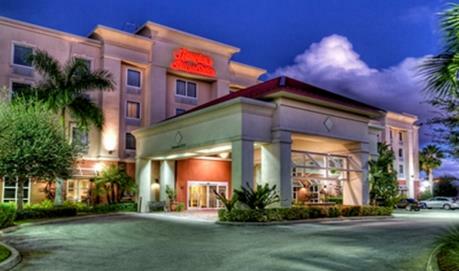 All rooms offer free high-speed internet access and essential amenities, as well as a clean and fresh Hampton bed®. $99.00 a night Florida Residence for the summer!